National Academic Theatre of Yerevan after G. Sundukyan, was founded in 1922. 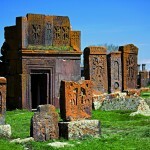 It is the oldest modern theatre in Armenia. 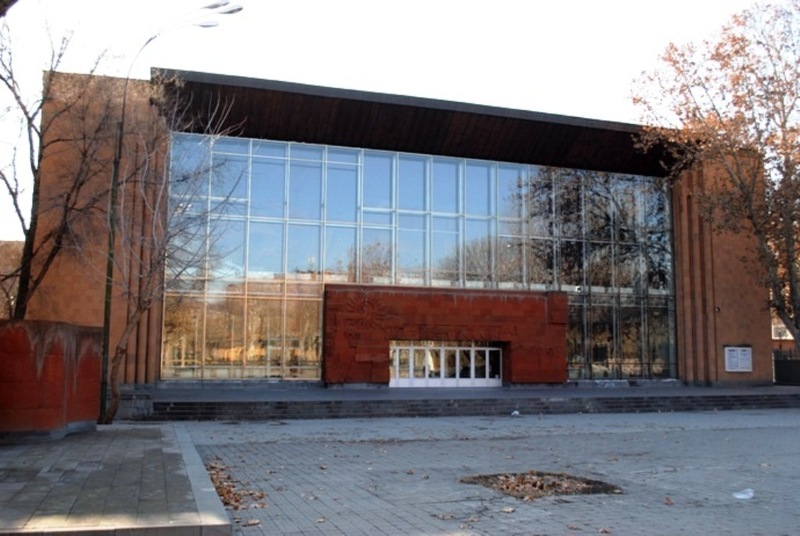 Famous actors and directors such as Vardan Ajemian, Valentin Podpomogov, Hrachia Ghaplanyan, Vahram Papazian, Hrachya Nersisian, Avet Avetisian, and Arus Voskanian were the stars of this theatre’s group, who performed both national and foreign plays, such as – Sundukyan’s “The testament”, Muratsan’s “Rouzan”, Shant’s “Ancient gods”, Chekhov’s “The cherry garden”, etc. In the early years of the theatre here worked actors: O.A. 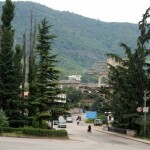 Abelyan, G.K. Avetyan, O.N. Gulazyan, G.V. Gabrielyan, Hasmik, I.S. Alikhanyan, A.T. Voskanyan, W.B. 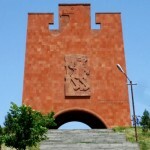 Vagharshyan, R.N. Nersessyan, M.G. Manvelyan and others. Leading directors were: L.A. Kalantar, A.S. Burdzhalyan, and A.K. Gulakyan. The best performances of the world classics, Russian and Armenian Drama: “The Taming of the Shrew” (1923), “Othello” (1926), “Hamlet” (1942) of Shakespeare, “The Imaginary Invalid” by Moliere (1923),”A Profitable Post “(1929) and “Thunderstorm” (1935) by Ostrovsky, “Masquearde” (1949) by Lermontov, “The Idiot” (1968) by Dostoevsky, “Uncle Baghdasar” by Paronyan (1954), “Khatabala” Sundukyan (1927), “Kum Morgana” (1927), “Because of the honor” (1939), “Namoos” (1955) and “Chaos” (1959) by Shirvanzade; Soviet Armenian, Russian drama: “Napoleon Korkotyan” by Demirchyan (1934), “Experienced field” by Zaryan (1953), “Man with the Gun” (1938), “Third Pathetic” (1960) Pogodin, “The Break” Lavrenev (1967), etc. In 1937 the theatre was named after G. Sundukyan, an outstanding Armenian writer and playwright, the founder of modern Armenian drama. In 1956, the team was awarded the Order of the Labor Red Banner. In 1960, Sundukyan State Theatre got its Academic title. Today, the statues of Gabriel Sundukyan and his literary character Pepo greet people as they enter the theatre.